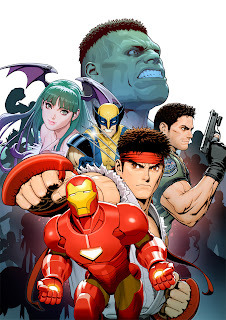 Nothing sparks the old imagination like an inter-company crossover, and one that definitely broke the mould was the original Marvel vs. Capcom. Not really a video game guy, for me the buzz was just seeing the wickedly talented team at Capcom draw the best the Marvel U has to offer. Their style is slick and the game-play as a result managed to steal allot of coin for this 'non-game fan's wallet. Now they are set to do it all again. 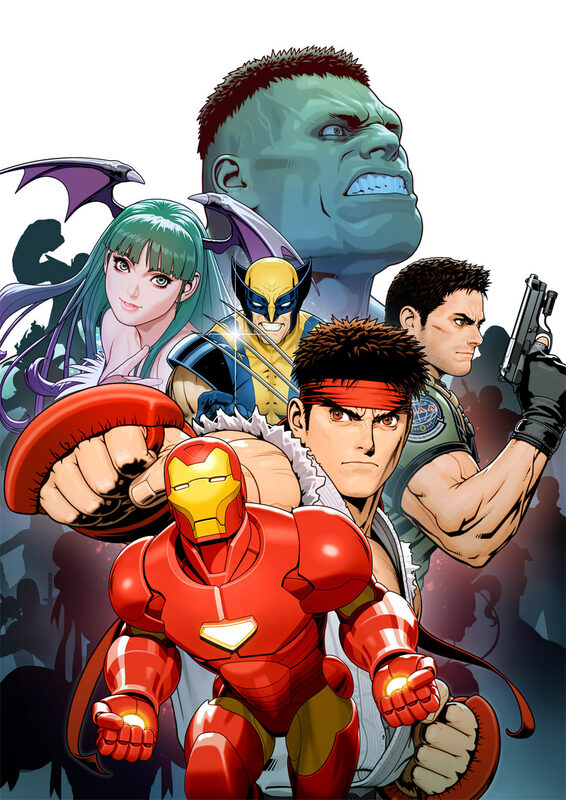 Capcom and Marvel have announced Marvel vs Capcom 3: Fate of Two Worlds, and while Dhalsim might not finally meet his match in Mr Fantastic, this preview art has some pretty interesting silhouettes in the back ground, like Deadpool behind Chun-Li in the lower left and is that Super Skrull in the distance at the top right? For more on what the game will offer fans of both Xbox 360 and Playstation 3 come Spring 2011 check out this wee teaser. Woot! Woot! This is cool, I hope you are right with Deadpool as an additional character. I think he will show the same usability of Wolverine. A super Skrull character is also interesting and would definitely try if ever these shape shifting aliens are playable. Thanks for the comments guys! I'd really love it if Deadpool's character mouthed off while in battle and even insulted the game player, breaking the 4th wall like in the books - that would be sweet!